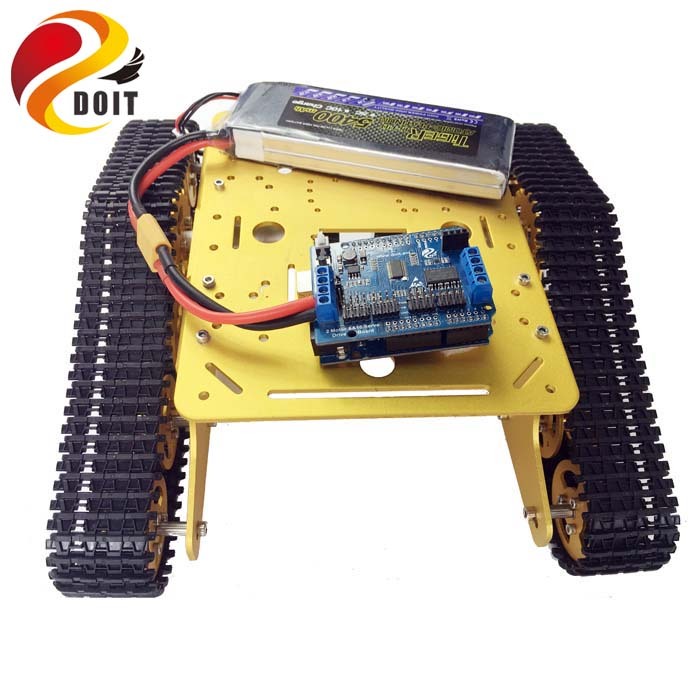 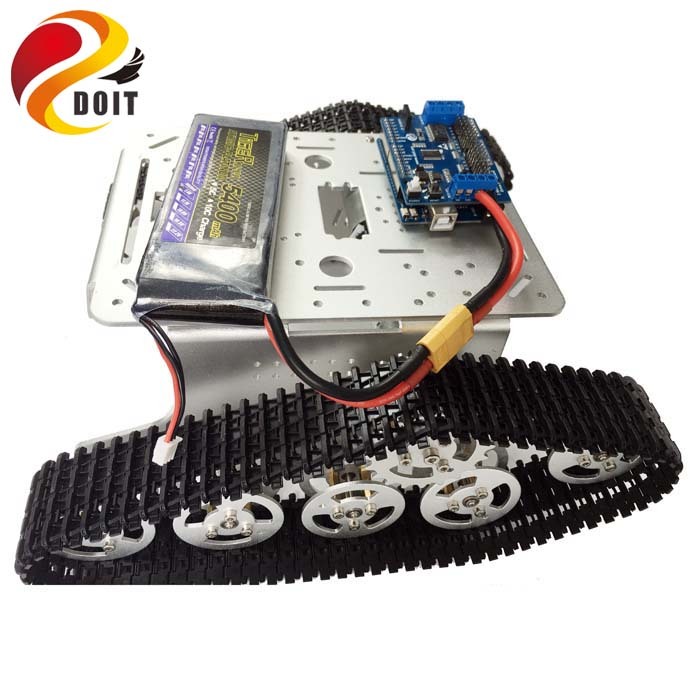 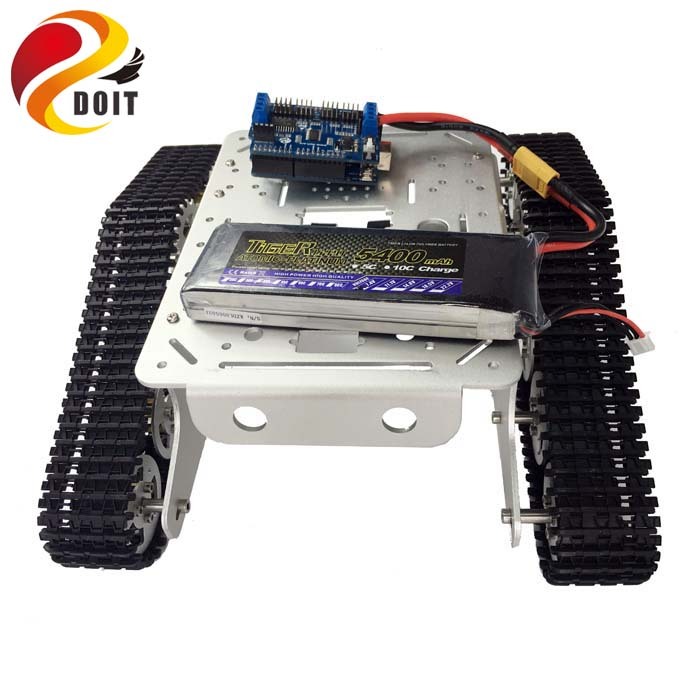 This tank chassis named T300 can be controled by ESPduino development kit, which is completely compatible with Arduino UNO R3 attached with WiFi module. 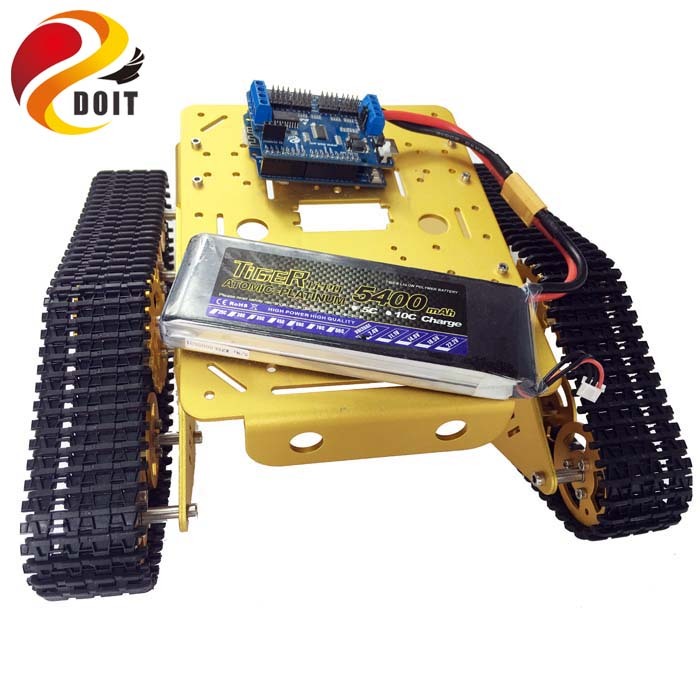 When you get it, you can remote control the tank chassis by using the WiFi mode after you install the car chassis. 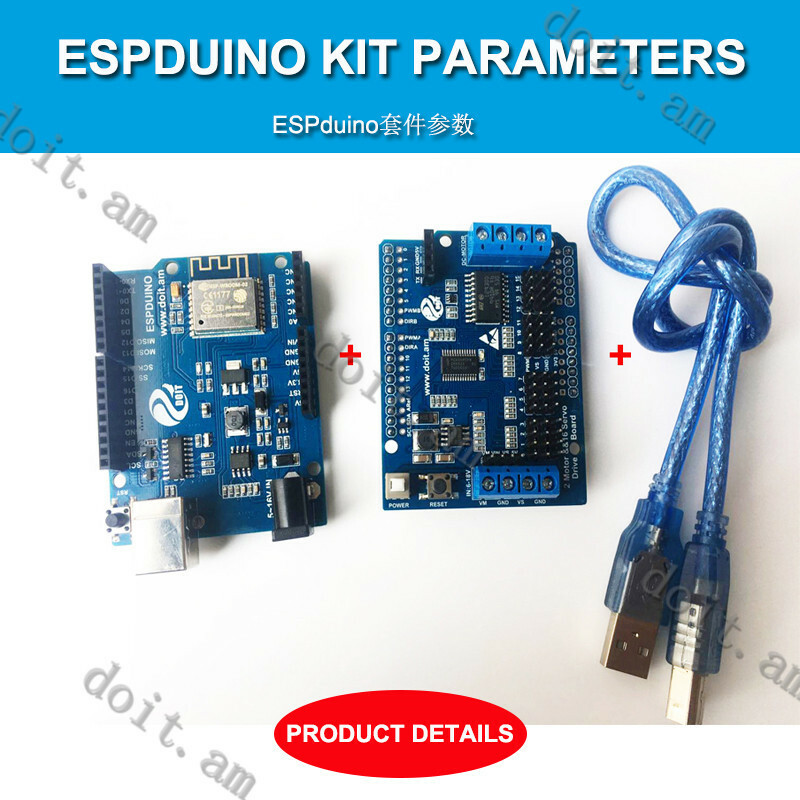 By using ESPduino development board kit, you can control the 2-way motor and 16-way servos at the same time. 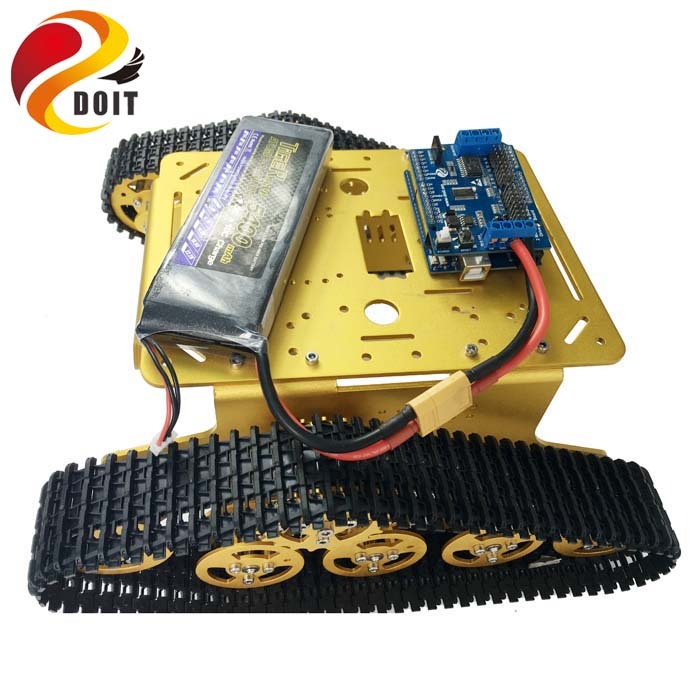 So, this kit is usually use to control the mobile robot arm. 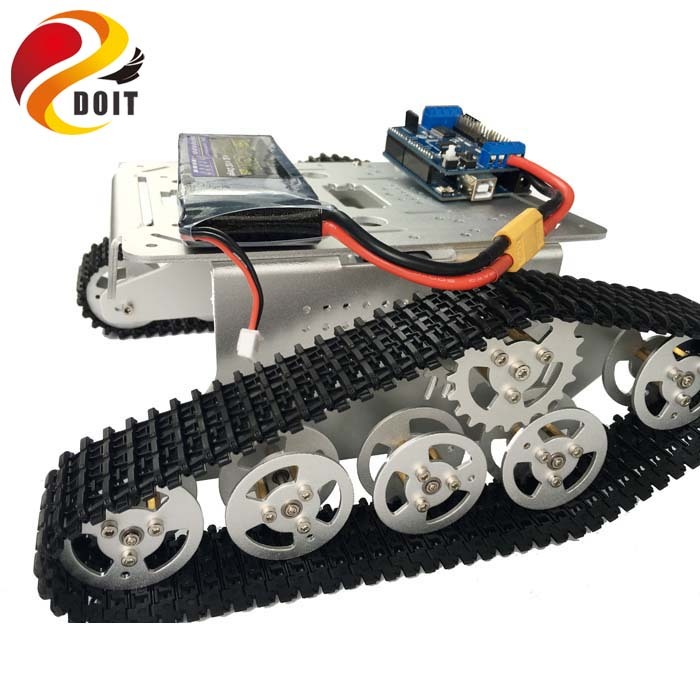 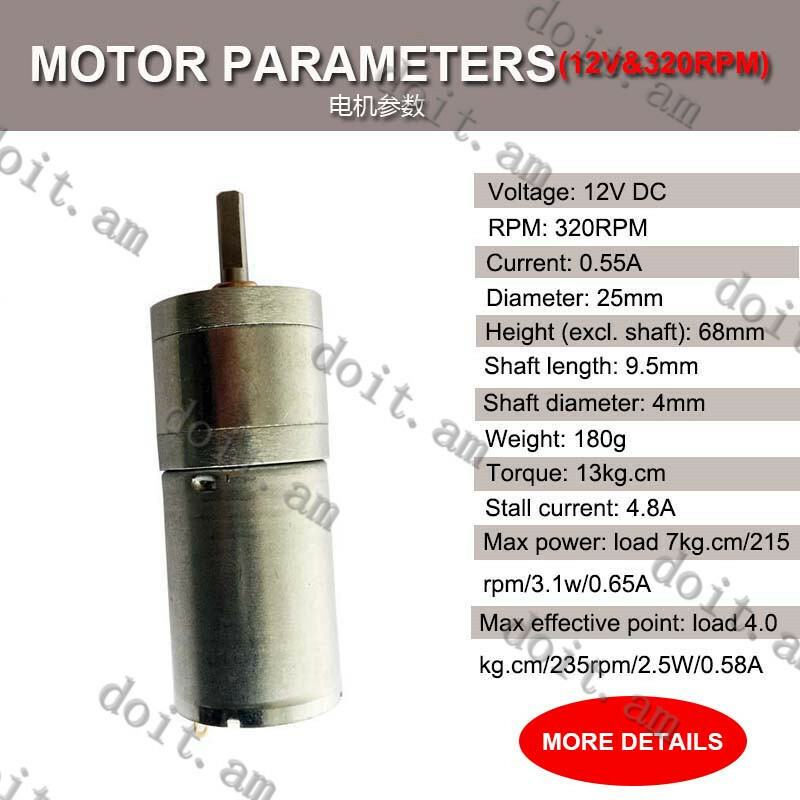 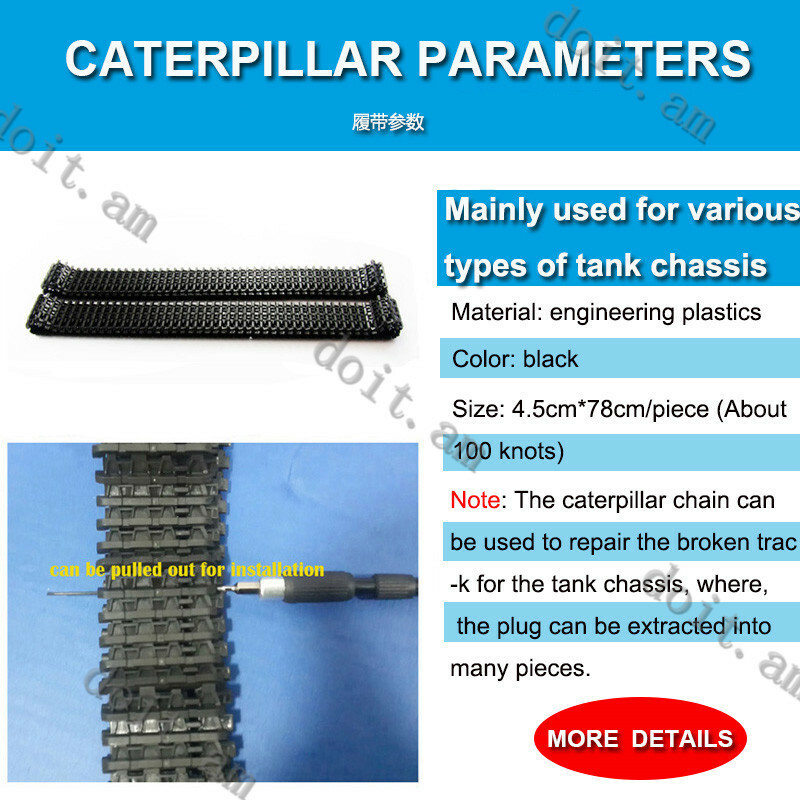 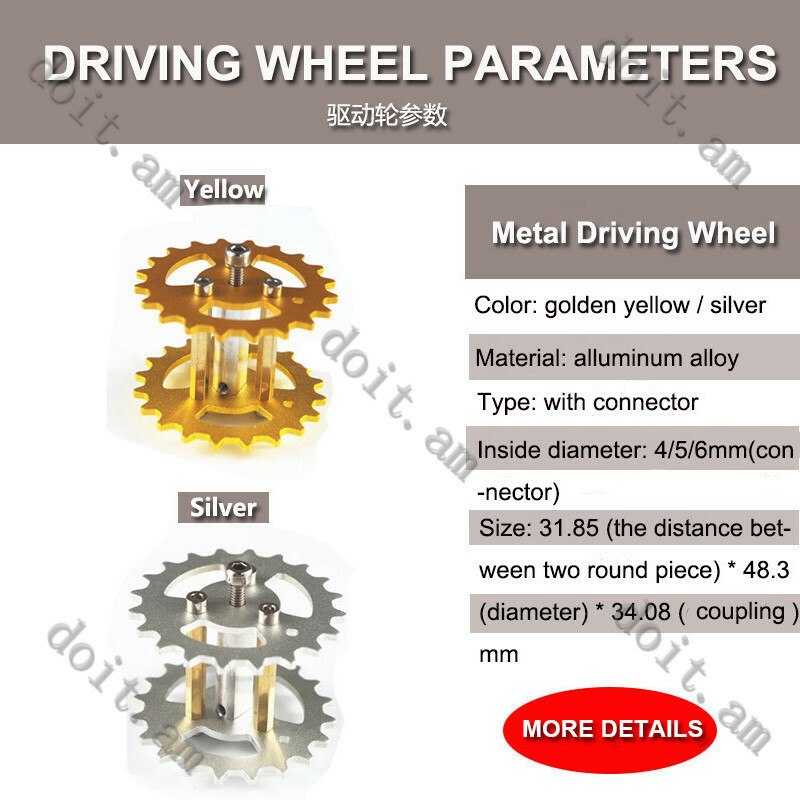 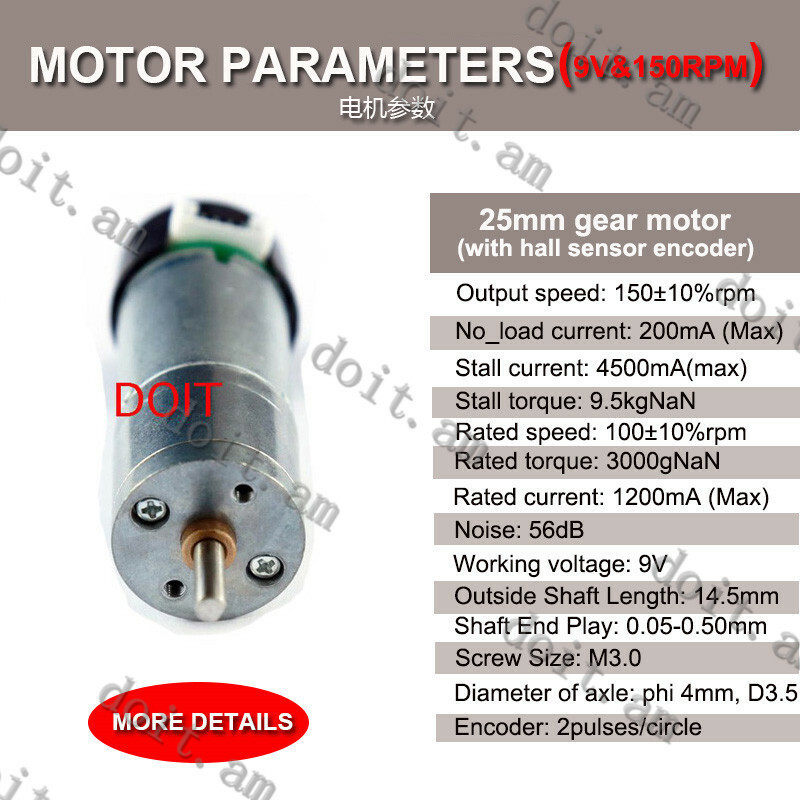 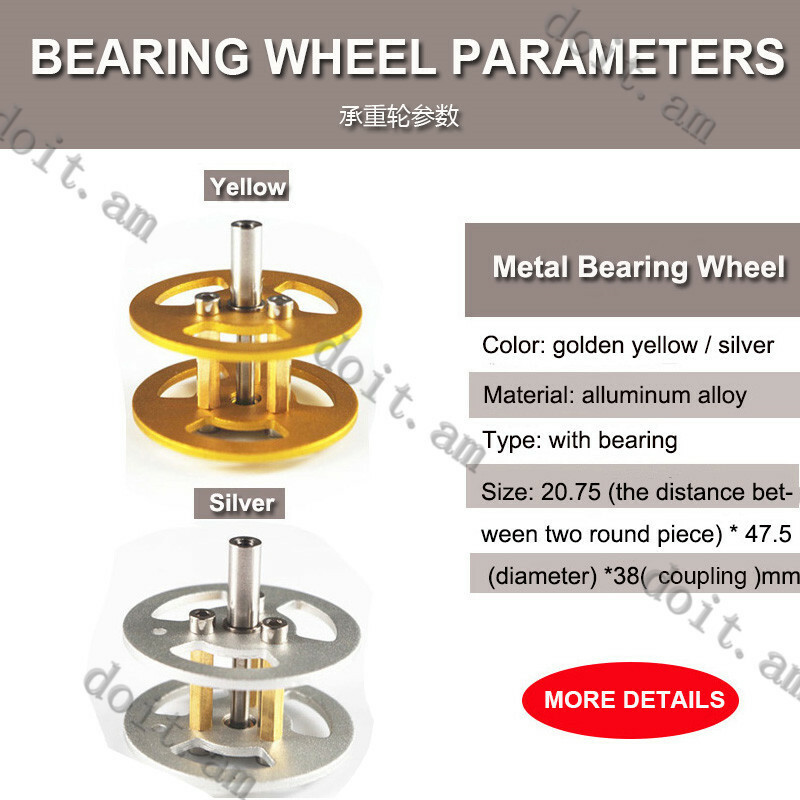 ​Note: This item is NOT including the battery because of the shipping forbidden.